The design of a workplace heavily influences the productivity of the people using it. No shock revelations here! The bad news is that if your office isn’t designed to foster your peoples’ happiness and productivity, you’re missing a pretty big trick. Don’t worry though, there is good news too! 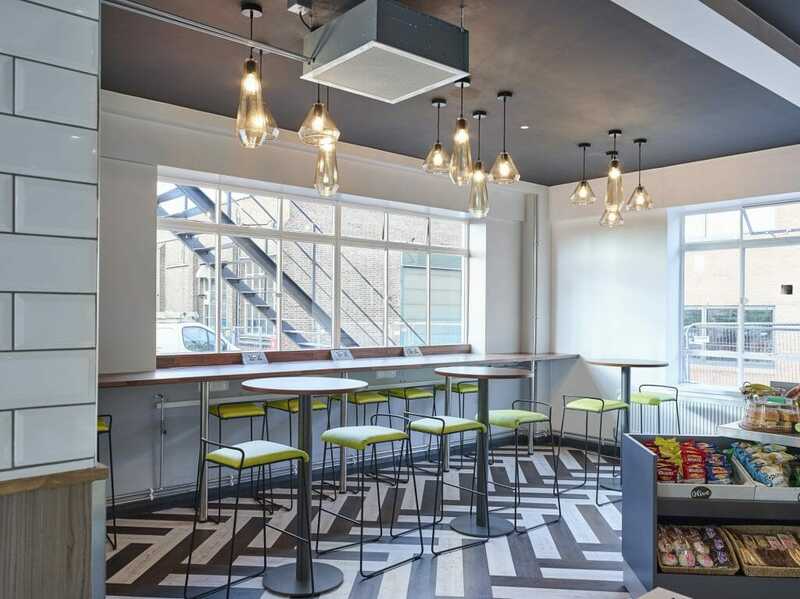 With some careful planning and creative office design you can transform your workplace into a space that’s completely bespoke to your business needs, culminating in a group of happier, more productive people. Happiness and productivity go hand in hand, and productivity is amazing for business. More productive businesses are generally more profitable. And when the design of your office allows for tasks to be done more efficiently, not only will your people enjoy their work more, but your business can increase its competitiveness. Recent surveys prove that the return on investment for spend on wellbeing initiatives is £4.17 per £1 spent. And the environment that you provide for your people to work in is probably the single biggest wellbeing initiative that you can invest in. We think it’s safe to say that no one ever pulled themselves out of a productivity ‘slump’ by sitting at their desk all day hoping that a sudden spark of creativity would come to them. Designing the areas in your office around certain functions or tasks can help combat dips in enthusiasm and creativity. 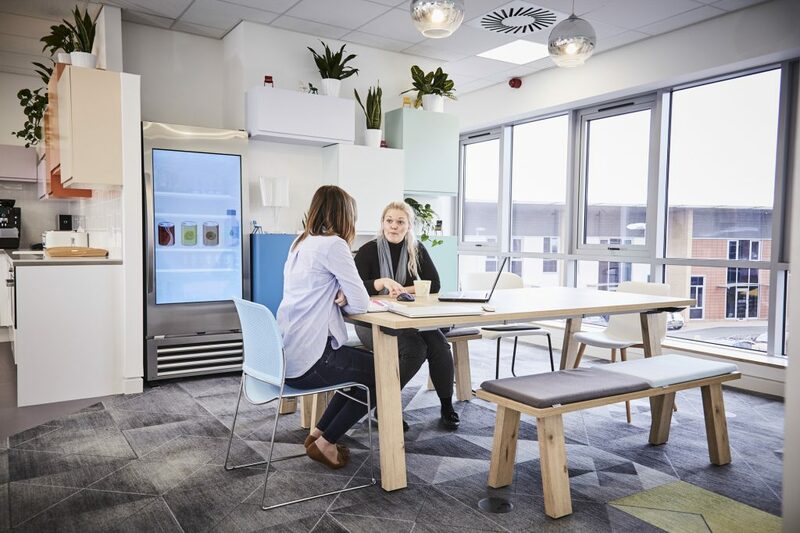 It gives people a choice of environments to work in that are suited to what they need to do, rather than being confined to one workspace all the time. It’s an agile way of working that really can help to increase your peoples’ productivity levels. It’s important to mention here that this doesn’t mean scrapping traditional desks altogether, although it can (and should!) be the solution if that’s what you find works best for your organisation. You may have come across the term ‘biophilic design’ before which, in a nutshell, means incorporating the natural world into interior or architectural design. 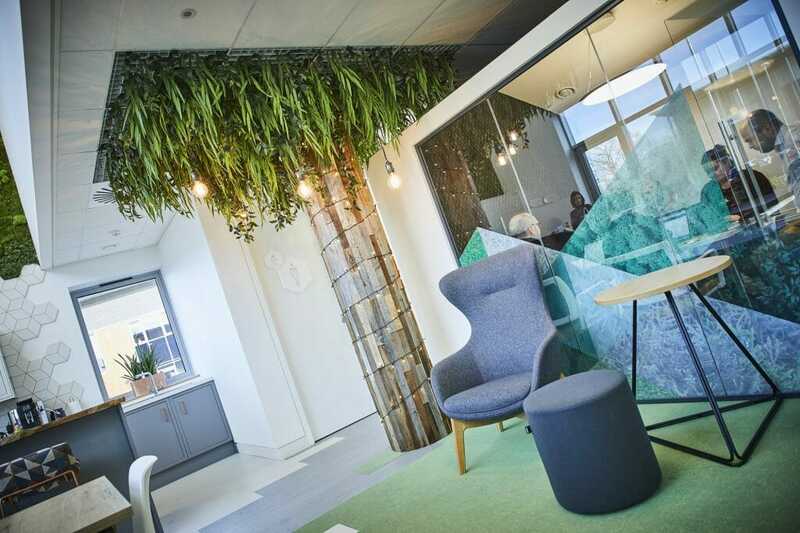 Bringing elements of the outdoors into offices and other workplaces is becoming massively popular as more and more people experience the benefits. Everyone knows that getting outdoors and connecting with nature is a fantastic way to reenergise, so why wouldn’t we recreate this in our places of work? You don’t need to fill every empty space in your office with a plant to get the benefit though. Using natural lighting and fabrics throughout the interior design is also perfect for evoking the same feelings of being in the great outdoors. If you’d like to see this in practice we’ve taken a leaf out of our own book (pardon the pun!) and incorporated biophilic elements throughout our space at WorkLife Central. Making sure you move throughout the day is important. Not only does it give your brain a bit of all-important space and time to think, but exercise also releases feel-good endorphins which are good for a number of things, including productivity. Regular exercise is proven to promote wellbeing by making people better at dealing with stress, boosting self-esteem and reducing feelings of anxiety and depression. 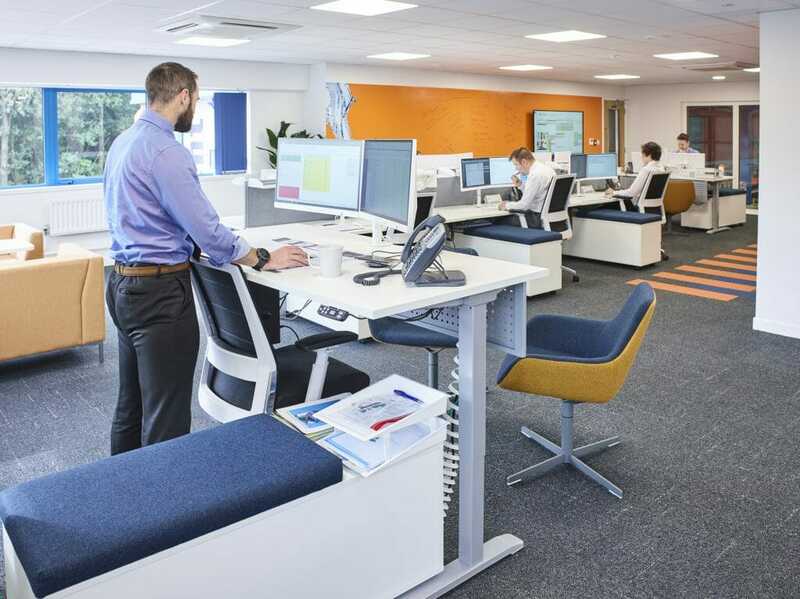 Designing your space for function as we’ve already described will encourage people to use different workspaces throughout their day too, which will naturally make them more active. There are lots of other things you can do to get your people to move more at work like installing sit/stand desks or starting a company sports team. You can read more on these in our active workplace blog. Technology is there to make our day-to-day lives easier. If you’re redesigning your office space, you should seriously consider incorporating technology that will help you to make your business activities more efficient. 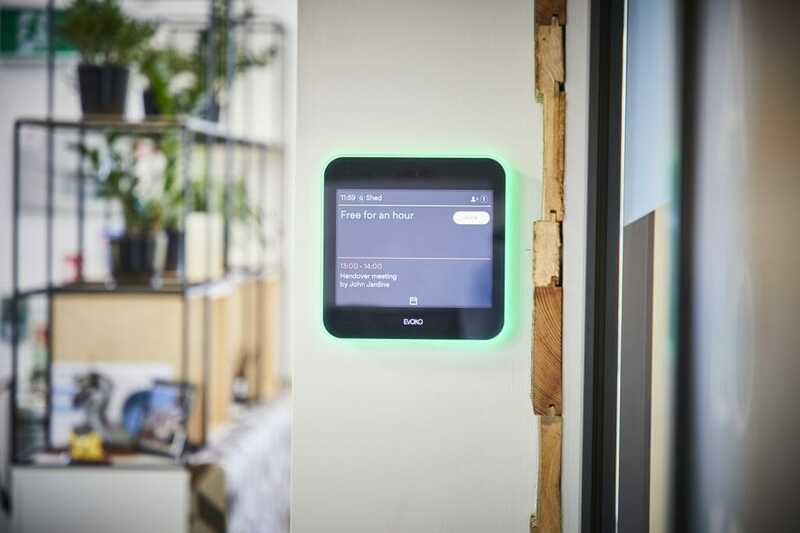 Simple installations like room-booking systems that cut time managing meetings, or choosing furniture that’s fitted with power and data points are easily implemented during the design and build process. The best place to start with deciding the best tech for your needs is to look at the ‘sticking points’ in the day-to-day running of your business and think about the solutions that can help to ‘un-stick’ them. Our team can help you do this too with a workplace assessment. And let us help you do it… We’re office design and fit out specialists who create beautifully functional, people-focused work environments that inspire your people to be happier, motivated, and more productive. Visit our state of the art offices and design showroom in Ashby, Leicestershire.